Hollywood has had an odd obsession with crossing over two dissimilar properties since its early days. Who can forget (or does anyone still remember) the screwball antics of Bud Abbot and Lou Costello when they traded zingers while evading Universal Monsters like the Mummy and Dracula in the Abbott and Costello Meet… series? Sometimes, property crossovers make some sense, like Freddy Vs. Jason. Other times, they just must sound like a good idea to some studio head, like the Jump Street/Men In Black conjoining, which first leaked during 2014’s infamous Sony hack. What once seemed like a bizarre studio curiosity has now become a reality. As of today, Sony’s planned cross-pollination of the Jump Street and Men in Black franchises has been officially christened. 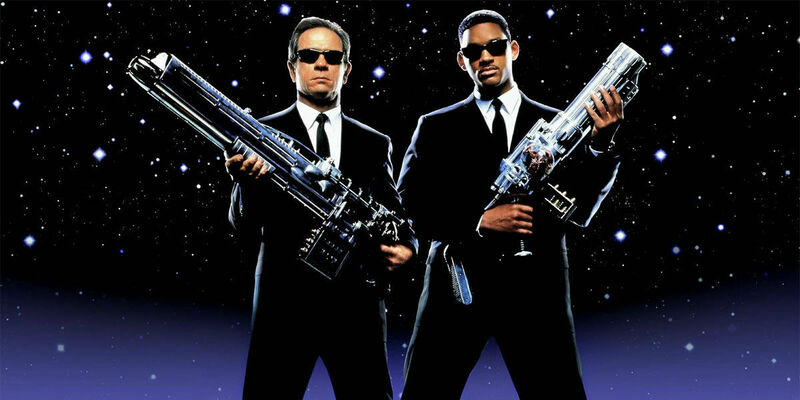 The alien-themed buddy cop-actioner was revealed to be titled MIB 23 during Sony’s panel at the 2016 CinemaCon in Las Vegas. Jump Street co-directors Phil Lord and Chris Miller are already on board as producers. And as of last month, the studio was courting The Muppets director James Bobin to serve at the helm. Presumably, stars Channing Tatum (Jenko) and Jonah Hill (Schmidt) are still signed on to reprise their roles, as well as produce the film. Unfortunately, though, Tatum and Hill will be the only original half of the franchise returning. As Sony looks to start principal photography, possibly this June, it looks as though MIB stars Will Smith (Suicide Squad) and Tommy Lee Jones (Jason Bourne) have been phased out in order to reboot the franchise. Although it’s possible the two stars could drop in for a cameo, it's far more likely that any MIB agents in the film will be fresh to the series. A return for Josh Brolin, who portrayed a younger version of Jones, is even less likely. MIB 23, which would ostensibly unite the undercover Jump Street program with the extraterrestrial-combating Men In Black, could actually be a lot of fun. The Jump Street films certainly have a loose enough association with reality at times (see the fourth-wall bending return Richard Greico and Johnny Depp in the original, for example) to allow aliens into their universe. How the comedic police partners get involved with the ultra-secret government organization is a good question, though. Perhaps Jenko and Schmidt will be recruited by the MIB. It’s also possible the hapless pair could wind up crossing wires with the next generation of black-suited agents on a case where one of their suspects has an out-of-this-world rap sheet. All we can do is wait for updates to trickle out as production begins. We’ll keep you updated on the progress of MIB 23 as more information becomes available.